To spread arms and fly like a bird, without the engine noise, feeling the wind blowing on your face? It is possible! Moreover, it is easier than you think. Paragliding is an unforgettable experience, and it is also the excitement of overcoming your fear, actually all the fears usually disappear after a take-off, when you start feeling that the wing of the glider confidently holds you, beautiful scenery opens in front of you, the grandeur of the mountains, graceful eagles and paragliders flying beside you, and there is a skilled and experienced pilot behind with whom you feel safe. From April to November, we provide unforgettable one day trips to one of the most beautiful places in the North Caucasus – the Elbrus Gorge (Chegem). The pristine nature, the height of the mountains, the sun shining brightly in the blue sky will fascinate you at any time of the year. 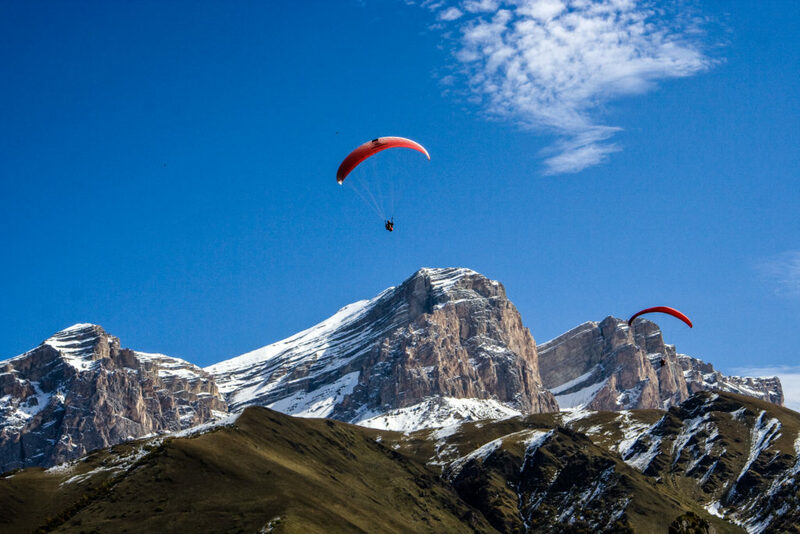 The program is scheduled for one day and includes a flight on a paraglider from Mount Zinka with an instructor, as well as a digression into the Chegem’s history, a review of local attractions, acquaintance with the national cuisine, customs and traditions. Favourable meteorological conditions provide a stable flying weather almost year round. Therefore, the risk that Paragliding in Elbrus Gorge will be cancelled, is minimal. 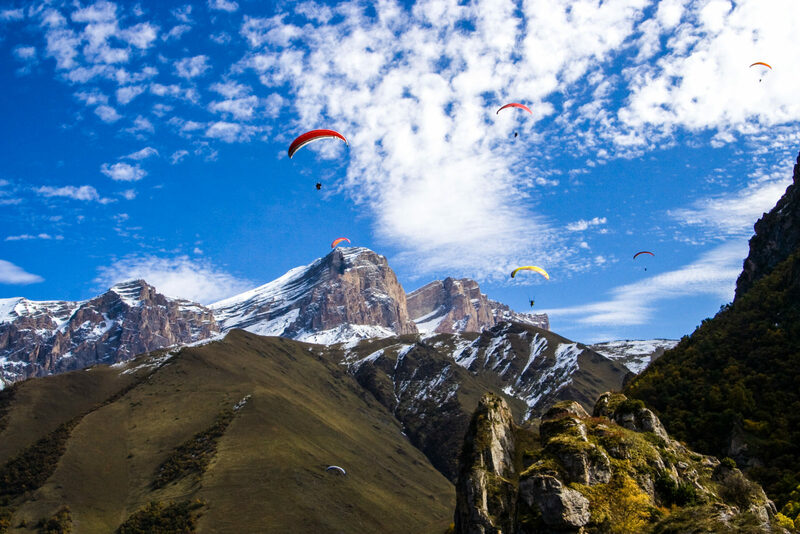 The unique and scenic beauty of Chegem’s upper reaches viewed from above a paraglider causes a rush of enthusiastic emotions, joy and surprise. This piece of paradise is located in the North Caucasus, near the Kabardino-Balkarian village of El Tyubyu, very close to the Georgian border and in the vicinity of Mount Elbrus. Steep cliffs which impress with their beauty, pine and beech forests in combination with alpine meadows and the perfect blue sky create a delightful scenery worthy of an artist’s brush. The Chegem Waterfalls are one of the most beautiful sights. Water jets crashing against the rocks turn into glittering mist and the sounds of crashing water, impress with their power and charge with positive energy. The entrancing mountain air fills the lungs with oxygen, restoring the body’s vitality after a one-week ascent. Visiting the waterfalls, as well as the legendary ancient structures made of stones (dolmens) in the village of El Tyubyu, is a part of our tour program. STEP 1: The departure is from the city of Pyatigorsk at 7 am. Around 8.30 you arrive at the Small Chegem Waterfalls. Here you will have some free time for photo shoots, purchases of local products like wool articles, honey, pine cones jam and crafts. . STEP 2: The hike up runs along the picturesque gorge, lined with very beautiful cliffs along the Chegem River and is about 14 km long. 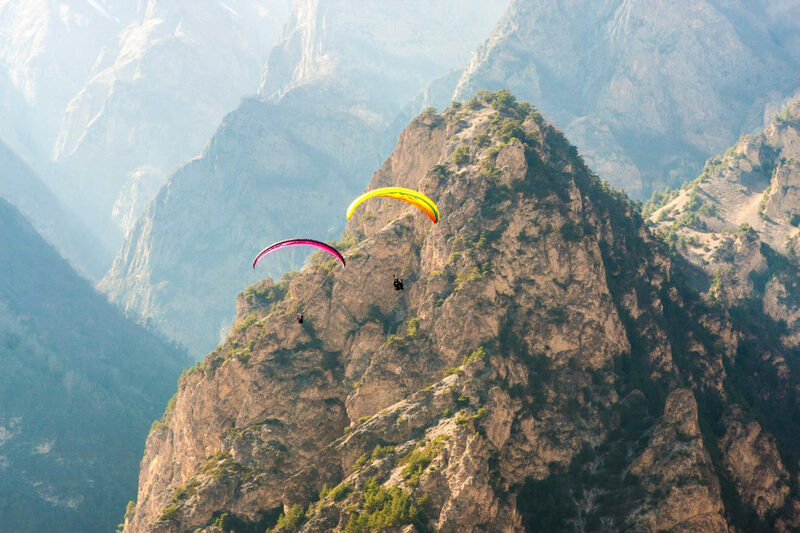 Before reaching the village of El Tyubyu we stop at the Chegem paradrom, where you paraglide and try the local Balkarian cuisine. STEP 3: Further, our way goes towards the village of El Tyubyu, where the truly stunning views of the Main Caucasus Range and Mount Elbrus, on top of which you were standing a couple of days ago, are open like on a hand palm. We visit the place of the ancient Balkarian burials where the famous Great Silk Road once ran. STEP 4: Further, we advance towards the Chegem Waterfalls down the Chegem Gorge. Just before the falls, we turn towards the picturesque mountain pass Aktoprak. Along the route the beautiful pillars of weathering landscapes give way to the infinite green alpine meadows with majestic cliffs towering against them. STEP 5: The route leads us to Lake Gizhgit, which is the crown jewel of the North Caucasus region. Pressed between two rocky gorges, hidden from the sight of people and winds, it has a remarkably pure mirror-like surface. STEP 6: Further the route runs along the Baksan Gorge towards Pyatigorsk. The approximate time of arrival to Pyatigorsk is 8-9 pm. STEP 7: This trip will be interesting to everyone who wants to touch the sky and discover a new and incredibly breathtaking type of activity in the mountains. The area is located away from the inhabited localities and traffic roads, therefore being here does not pose any danger, and enjoying the surrounding nature will leave a deep imprint in your memory. Both group and individual trips are available. At the start you are required to actively move forward, after just a couple of steps, we are off the ground. And you just have to sit comfortably in the harness (to do this you just need to press your knees to your stomach and you will feel that sitting in it is very comfortable). That’s all! You can enjoy the flight. Some passengers are afraid of landing. Have you ever jumped from a chair? The landing is much softer! At landing the pilot arranges the decrease trajectory, where the rate of decline is small and the contact with the ground is very soft. 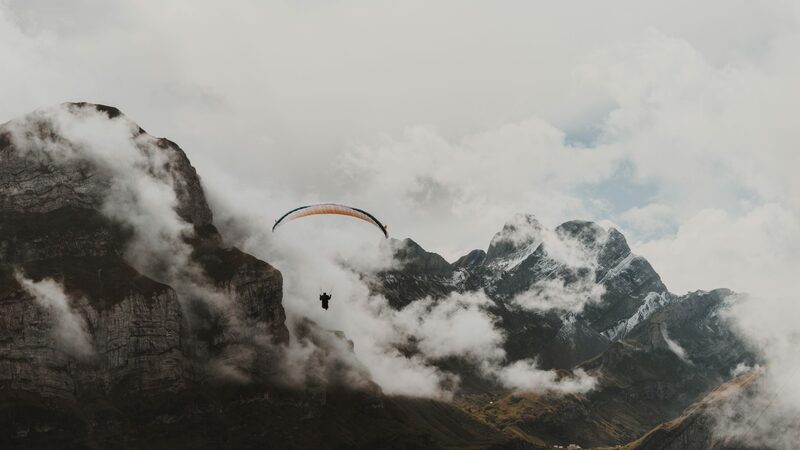 We use the latest equipment offered by the certified manufacturers of Paragliding equipment such as Ozon, Sup Air, GIN, Woody Walley, elaborate constructions, the finest materials, with a huge margin of safety. We fly only on new gliders and are careful about the equipment maintenance. We always carefully assess meteorological conditions! And if the weather is not safe, we will abandon the flight at any time, even if we are already standing with you at the start with the equipment ready. Your tandem master is always an experienced pilot. 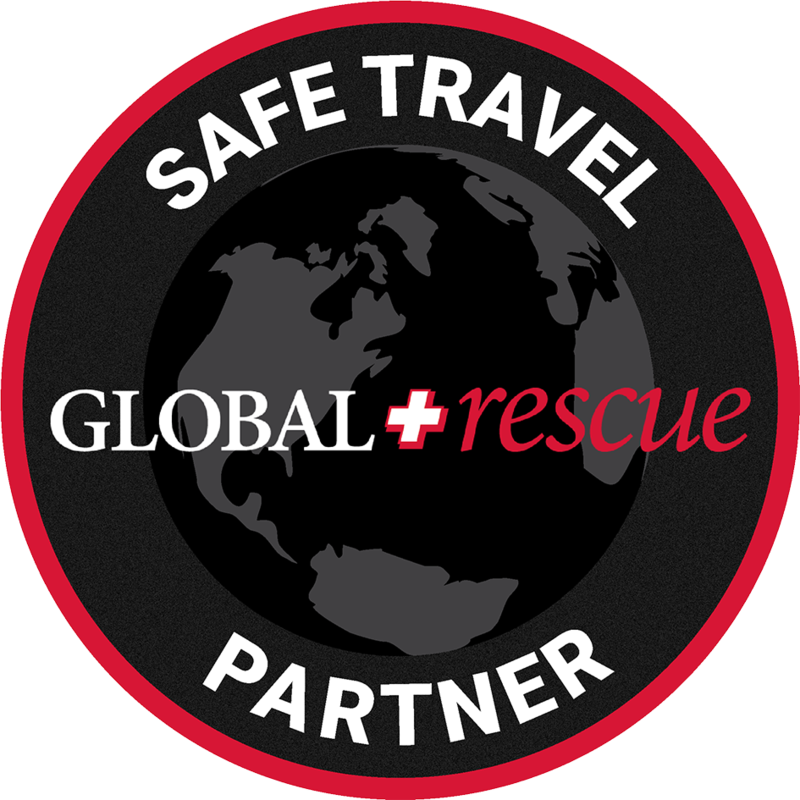 It is important to us that you have only a positive experience during and after the flights with us.